Just west of the Central Mountain Ridge of Judah, where the cities of Jerusalem, Bethlehem and Hebron sit, lies the Judean Desert. Due to its proximity to the cities of Judah and its harsh desert terrain, the Judean Desert has been a place of refuge and escape throughout history. It’s to the Judean Desert that David flees King Saul, where survivors of Jerusalem’s siege flee the Roman Legions following the destruction of the Temple and Jerusalem and where hundreds of Monks seek solitude in the Byzantine Era. Shortly after departing Jerusalem we enter the Judean Desert. 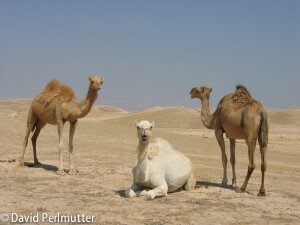 As we drive through the Judean Desert we’ll pass by the Bedouin encampments of the desert heights. We’ll see the millennia old techniques for collecting water still used by the Bedouin, as well as the changes undergoing Bedouin society by the introduction of modern technologies. We’ll climb [using 4WD, not our legs] the peak of Jabel Muntar, the highest mountain in the Judean Desert. 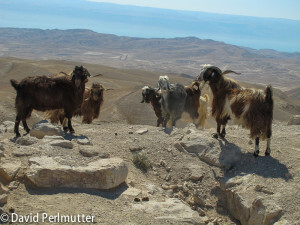 On a clear day, we can see Jerusalem behind us, and the Dead Sea and Jordan in front of us. Jabel Muntar is identified with the Second Temple Era Tsuk, where the scapegoat was sent to the wilderness on Yom Kippur. Later the Byzantine emperoress Eoudocia built a monastery on its peak. In the First World War, Jabal Mוntar served as forward headquarters for the Australian Forces in their drive to Jericho. 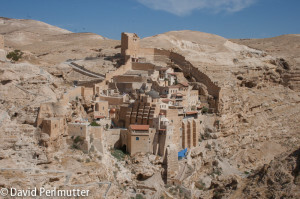 Then we’ll continue on the desert tracks to the cliffs of the Kidron River to view cliff-side monastery of Mar Saba. 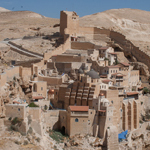 St. Sabas, the leader of the desert monastic movement in the fifth century established this monastery in the year 478 and it has remained active ever since. 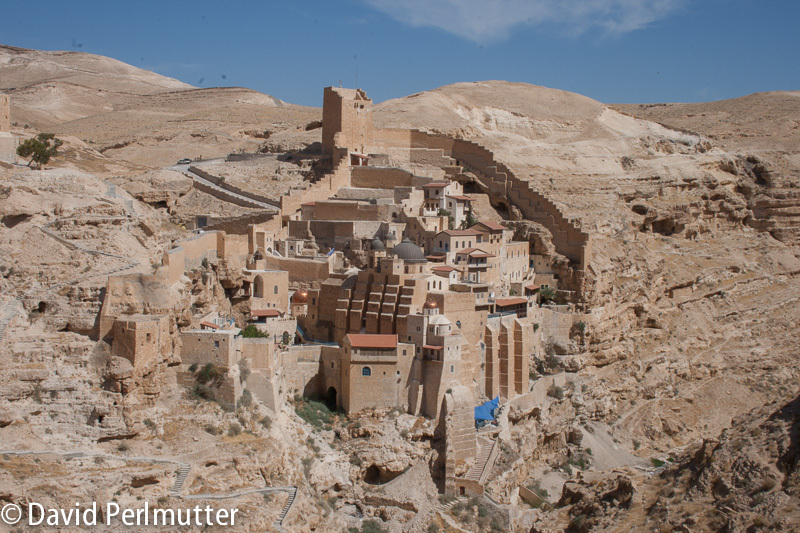 During the Nineteenth Century, Mar Saba was on the tour route between the Dead Sea and Bethlehem. Many travelers spent the night in the monastery and included vivid descriptions of the monastery and the monks in their travelogues. 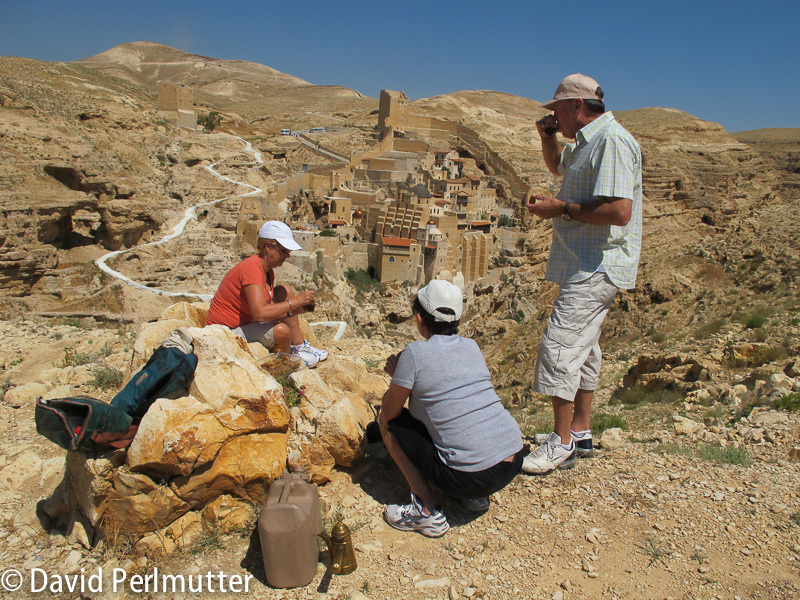 Here is a great spot for a coffee break, where we can enjoy our Arabic coffee as we read descriptions of Mar Saba by early travelers. From here we’ll cross the desert heights to the edge of the fault line escarpment, the majestic cliffs overlooking the Dead Sea. With some luck we’ll glimpse the gazelles which roam the desert heights or the ibex that inhabit the cliffs. 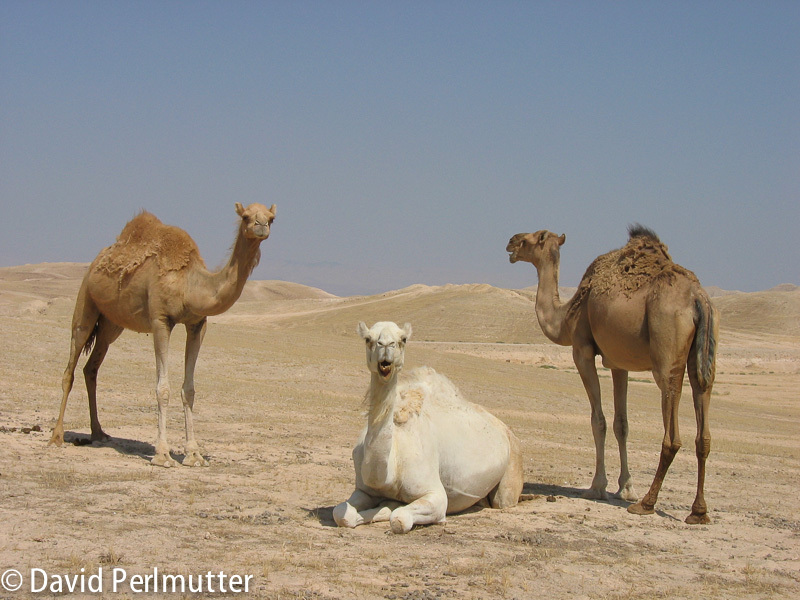 We may also see some Bedouin grazing their large camel herds in the desert heights.